This card rack has 25 Slots (one per clock card). 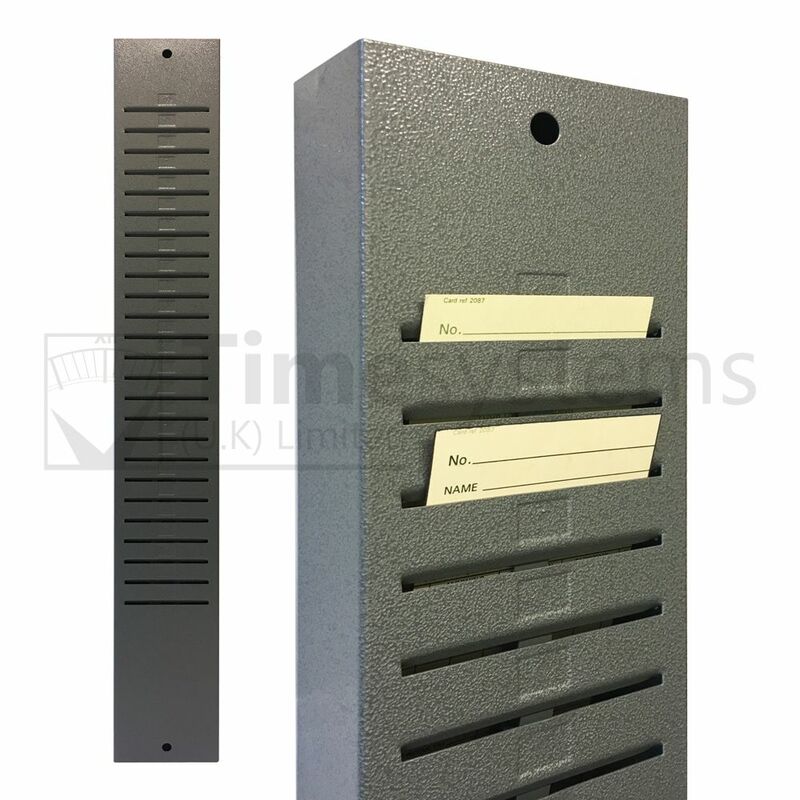 Which is suitable for cards with a maximum width of 95mm and a minimum height of 135mm, this is to ensure the top of the card can been seen. The cards will not overlap totally, they are spaced to appear above each other. 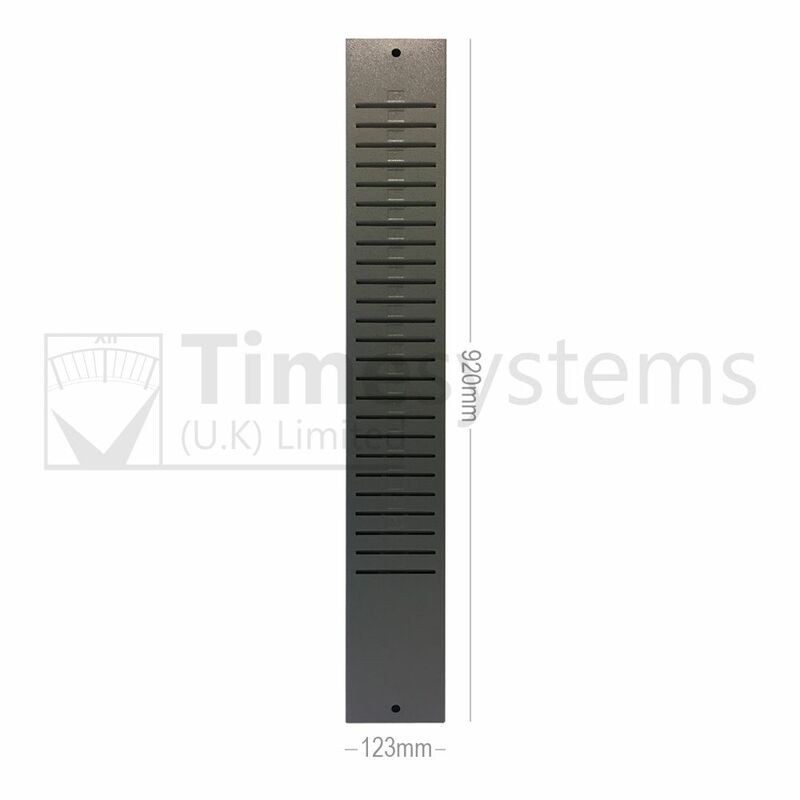 Rack dimensions: 920mm (H), 123mm (W), 54mm (D). Easy to fit - with keyhole style fitting. One rack for IN and one rack for OUT, useful for a fire roll call and to ease queuing. It is traditional to fit one rack for ‘IN’ and a corresponding one for ‘OUT’. The racks are enabled to be ‘soft’ fitted so they can be removed in emergency. That way, in case of fire, you can remove the ‘IN’ racks, hold a fire roll call and make a proper audit of who is left in the building. This may help satisfy the Fire Officer and your own health and safety rules.